For animals in the tropics, trees matter. A new study published last month by a team of Stanford biologists revealed that biodiversity in a tropical countryside in Latin America tends to increase with the number of trees. In some cases, a single cluster of trees can draw around 80 species to an otherwise empty landscape. Perhaps it is to be expected that an increase in habitat would lead to greater inhabitants, but making quantitative predictions of biodiversity based on tree cover — the percent of a given area covered by the canopy of trees — requires rigorous statistical methods, according to Mendenhall. Predictions of biodiversity are critical for wildlife conservation, the paper states. However, typical methods for counting animals, such as field surveys are costly, time consuming and limited by physical constraints. In its paper published last month in the Proceedings of the National Academy of Sciences, Mendenhall’s team revealed a model that estimates biodiversity using satellite-derived maps of tree cover. A decade of fieldwork in Coto Brus in Costa Rica allowed the researchers to record nearly 1,000 species that were common indicators of biodiversity, including many types of bats, birds, reptiles, amphibians and plants. These data were then plotted against Google Earth satellite photographs, which made it possible to work out where biodiversity fell along a gradient of forest cover. With the new model, policymakers and farmers alike can now easily predict the distribution of plants and animals across a landscape. “[The model] is a one-size-fits-all conservation strategy, especially for areas in the world where you can’t just go count up the species,” Mendenhall said. The paper also revealed that tree coverage within human-dominated landscapes can predict wildlife populations. According to the researchers, the vast majority of land, ranging from farms to privately-owned tracts of forest, falls outside of protected areas. Yet, these ecological “gray areas” were still occupied by a surprisingly high number of species. Trees are especially important for certain species. Bats and other mammals are most sensitive to deforestation, as are rare and endangered species. While the model was developed with field data from Costa Rica, the researchers suggest that it can be applied in other regions of Latin America as well. To support this claim, Mendenhall’s team reviewed 19 published studies in which similar data were collected at different sites in Latin America. 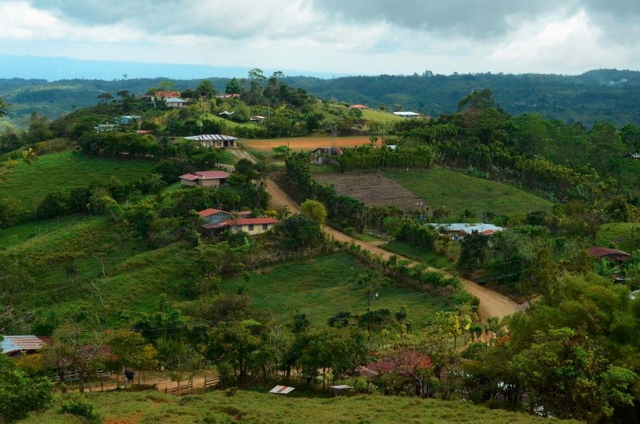 This review showed that patterns in biodiversity across the Latin America tropics tend to mirror what the researchers saw in Costa Rica — as trees go up, so does biodiversity. But as Mendenhall explains, empirically testing the model in other sites is challenged by data availability. Mendenhall says the key strategy is to protect trees in tropical, wet regions such as Costa Rica, where the greatest concentrations of biodiversity on the planet are found. Contact Benji Jones at jonesb ‘at’ stanford.edu.